33 years after its initial release in 1982, Blade Runner is still considered a sci-fi classic to this day. 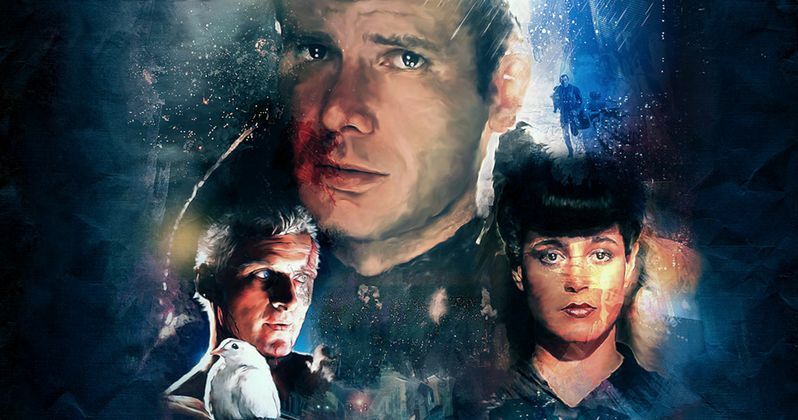 When news of the Untitled Blade Runner Project first surfaced, many fans were hesitant to embrace this project moving forward, but now that original star Harrison Ford has come aboard to reprise his iconic role as Rick Deckard, and original director Ridley Scott set to produce, many fans are changing their tune. Denis Villeneuve came aboard to direct back in February, with original Blade Runner writer Hampton Fancher coming back to co-write the script with Michael Green, based on an idea by Fancher and Ridley Scott. While promoting his new film Sicario, Denis Villeneuve revealed he wants to respect and honor the original classic, while bringing something new to the franchise. "It's a huge challenge, because you don't want to cut and paste, otherwise why [do it]? And at the same time you have to respect what was done, so you have to find the right equilibrium between being faithful to the first one and bringing something new at the same time that will make sense to the Blade Runner universe." Like many filmmakers before and after him, Blade Runner was a huge influence on Denis Villeneuve, but when this project came to him, he hesitated because he thought, "Who am I to dare touch that?" Eventually, he agree to take on this sequel, revealing that he is fully aware of how big a challenge it will be, and that he knows the fans will have the highest of expectations. "I'm totally aware of the huge challenge. It's a risk I know that every single fan who walks into the theater will walk in with a baseball bat. I'm aware of that and I respect that, and it's okay with me because it's art. Art is risk, and I have to take risks. It's gonna be the biggest risk of my life but I'm okay with that. For me it's very exciting... It's just so inspiring, I'm so inspired. I've been dreaming to do sci-fi since I was 10 years old, and I said 'no' to a lot of sequels-I couldn't say 'no' to Blade Runner. I love it to much, so I said, 'Alright f--k it, I will do it and give everything I have to make it great.'" Unfortunately, the director wouldn't divulge any plot details, but he did describe the sci-fi follow-up as "autonomous" to the original, while still maintaining some connection to Blade Runner. The filmmaker added that he has the strongest connection to the original theatrical cut, but he eventually came to appreciate Ridley Scott's final cut. Here's what the director had to say about the various different cuts of the movie released throughout the years. "The movie will be autonomous and at the same time there will be some link, but I cannot talk too much about it. The only thing I can say is I was raised with the original cut, the original version that Ridley doesn't like. That's the Blade Runner that I was introduced to at the beginning and that I loved for years, and then I must say that I'm someone that appreciated the very last cut, the [Final Cut] version. So between all the different cuts, for me it's the first and the very last that I'm more inspired by." While Harrison Ford, Hampton Fancher and Ridley Scott are all returning for Blade Runner 2, the sequel brings in iconic cinematographer Roger Deakins. Denis Villeneuve revealed that the director of photography had always wanted to make a sci-fi film, and that it took "about 2.5 seconds" to convince him to sign on. The director also confirmed that principal photography will begin next summer, but the exact locations are still being worked out. The project still doesn't have a release date set at this time, but it will most likely hit theaters in 2017, which would coincide with the 35th anniversary of the original film. What do you think about all of these new details?